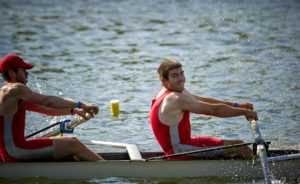 This year represents the 80th JEFFERSON DAD VAIL REGATTA. Our regatta will be held on May 11th and 12th, 2018 on the Schuylkill River in Philadelphia, PA.
First five boats entered are included at no additional cost. This includes Singles, Pairs, Fours or Eights. This is one more than last year!. A reduced boat entry fee – If you enter more than five boats you pay only $325 for each additional boat. 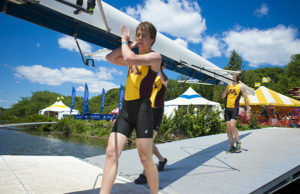 Non-Affiliates pay $450 for each boat entered, the same as last year. The entry fee for the Single is $200 for both categories. A guaranteed tent spot for your alumni. Alumni racing featuring men’s and women’s eights. Entries are limited so please promptly notify your alumni! Potential subsidy for a trip to the Henley Royal Regatta in England. Guaranteed entry to all events in the Regatta – As an Affiliate Member you need not worry; one entry in each event is guaranteed. Non-Affiliates will be entered on a space available basis. 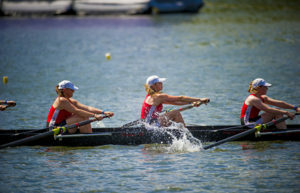 To accept our invitation to become an Affiliate Member School, please click on the link for Regatta Central and remit the Affiliate Member School fee of $1,625 to Regatta Central. Please remit payment by February 15, 2019. 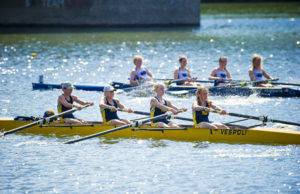 *To qualify as an Affiliate Member School, the sport of Rowing must be recognized by the Administration of that school as an Intercollegiate Sport or Recognized Club Sport.